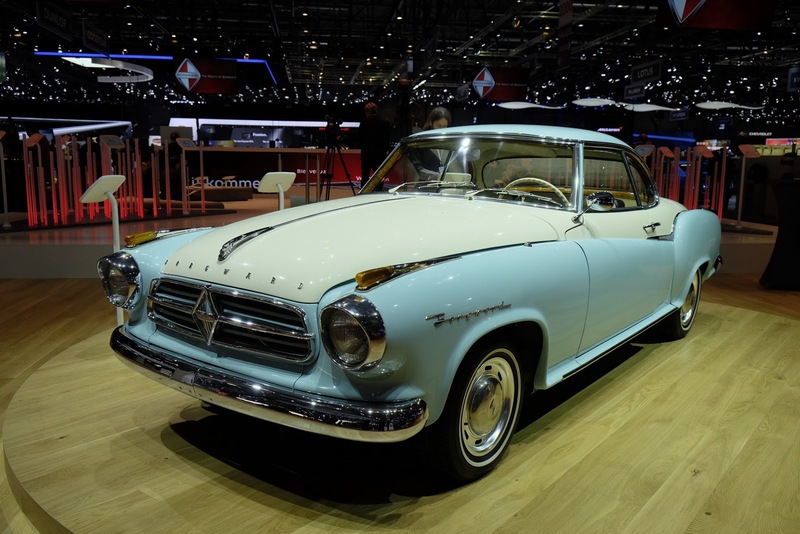 It’s not every day that a car company that once employed 23,000 people and sold more than one million vehicles comes back to life. 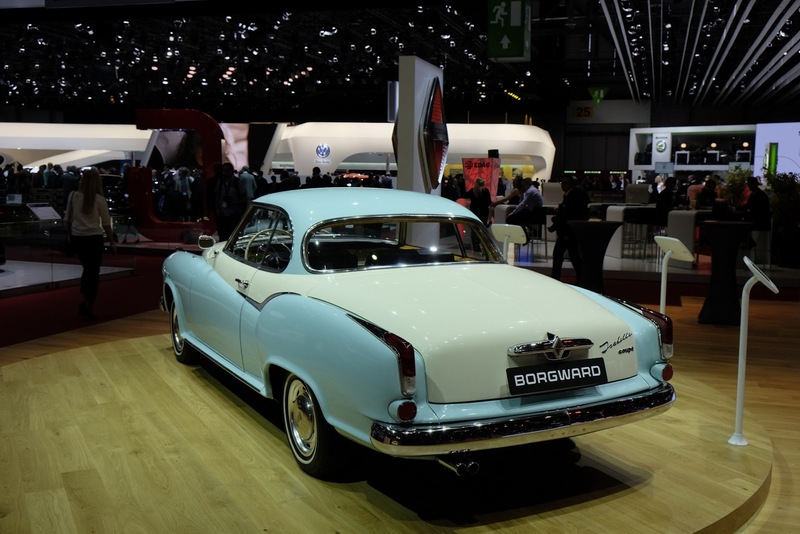 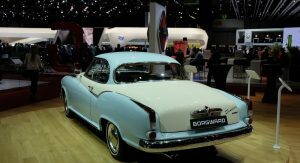 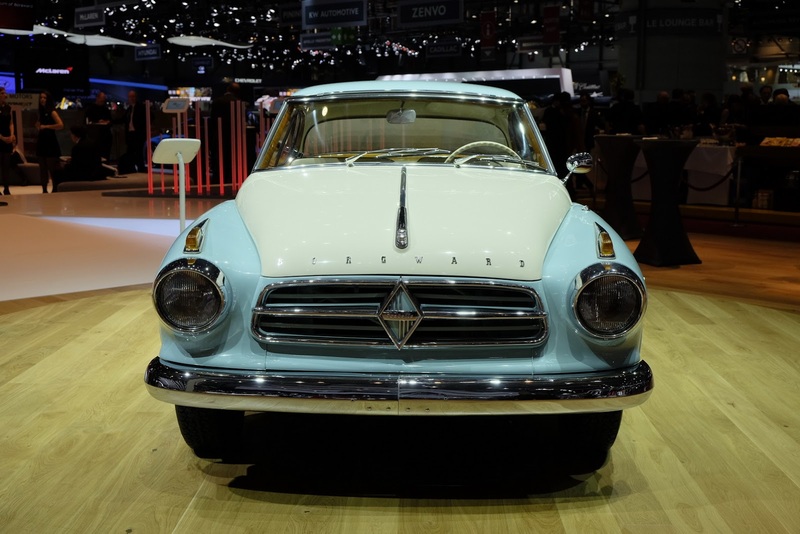 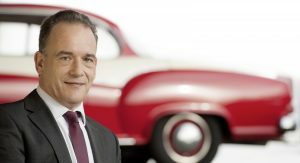 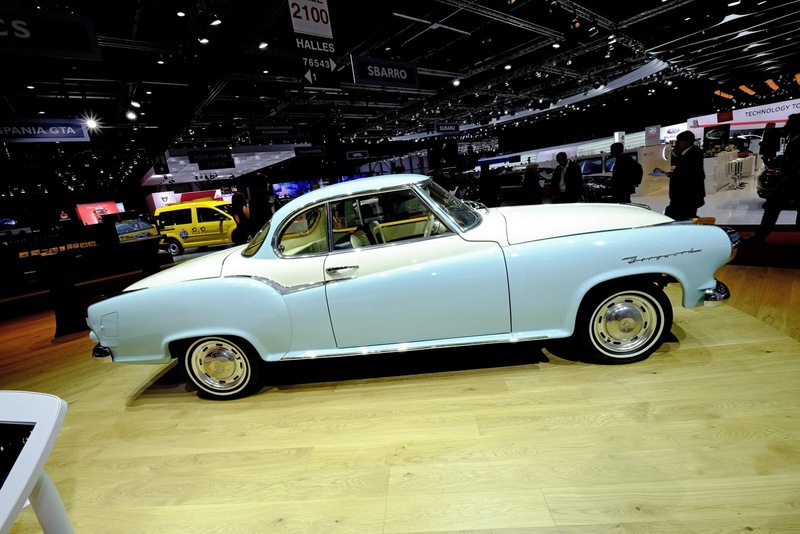 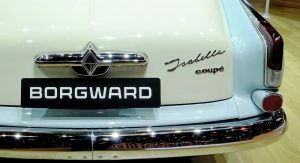 Borgward, one of the most revered names in German car history, is back. 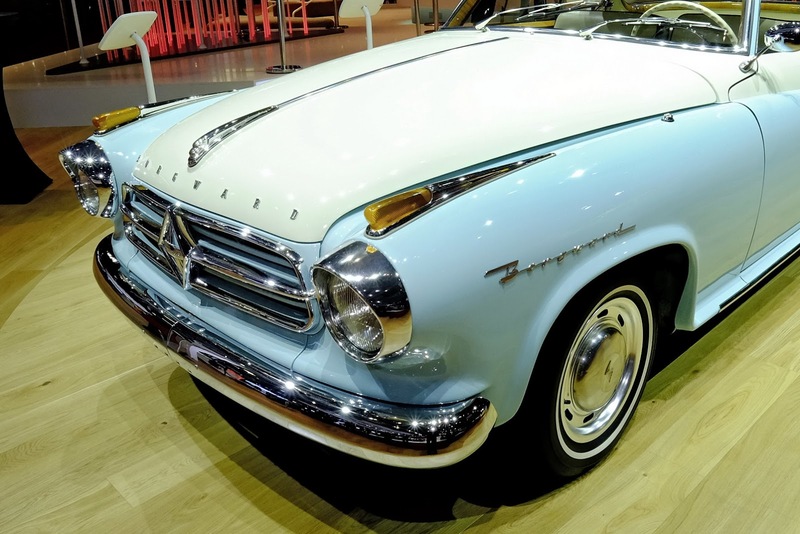 Unfortunately they didn’t bring with them any type of brand new, 2015 model for us to lay some judgment on. 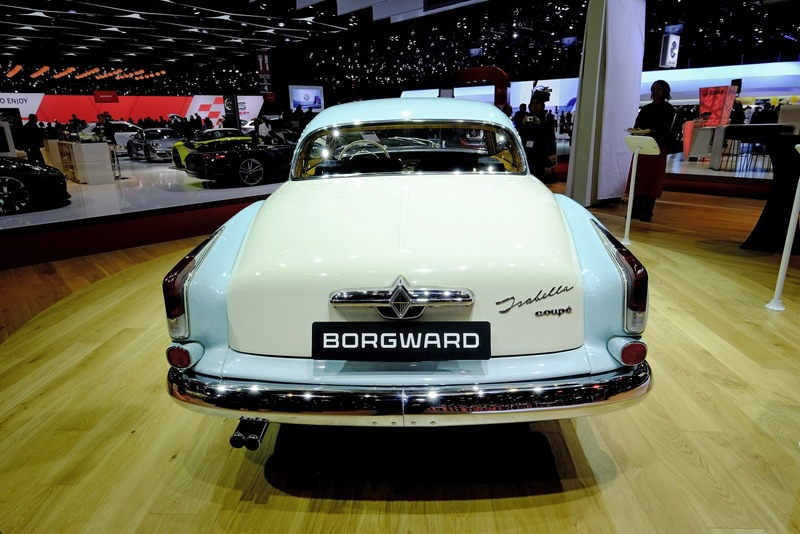 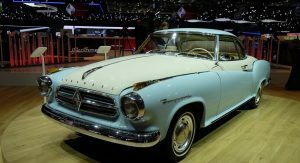 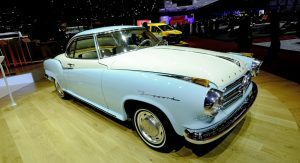 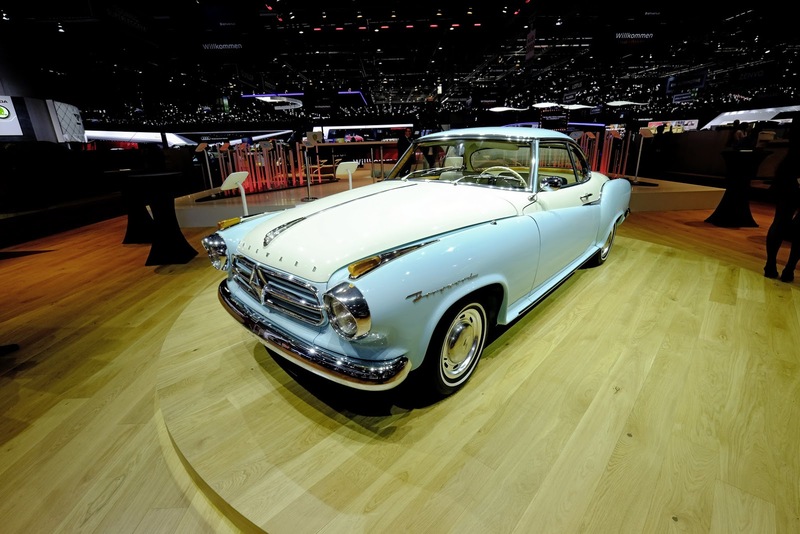 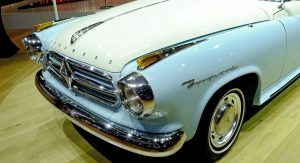 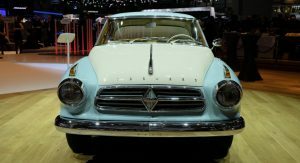 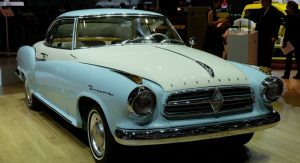 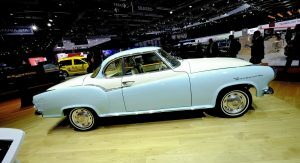 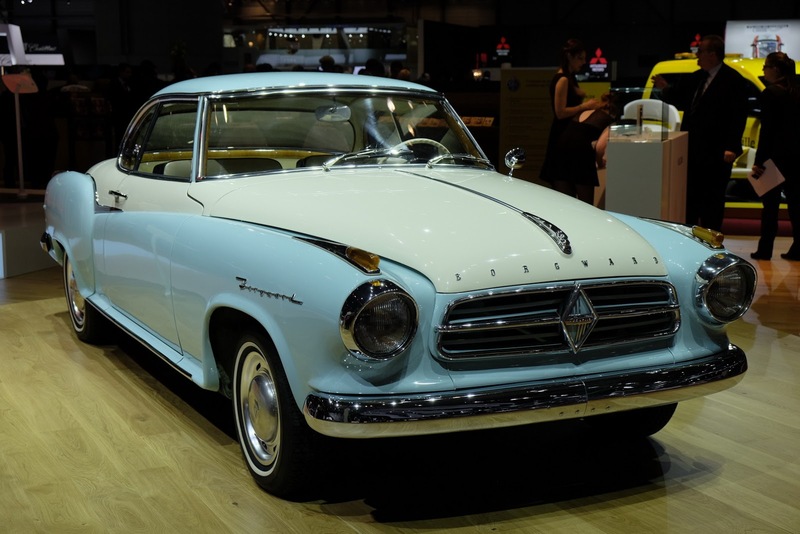 Instead they brought a late 50s 1.5 liter four-cylinder engined Isabella Coupe – presumably owned by the Borgward family themselves. 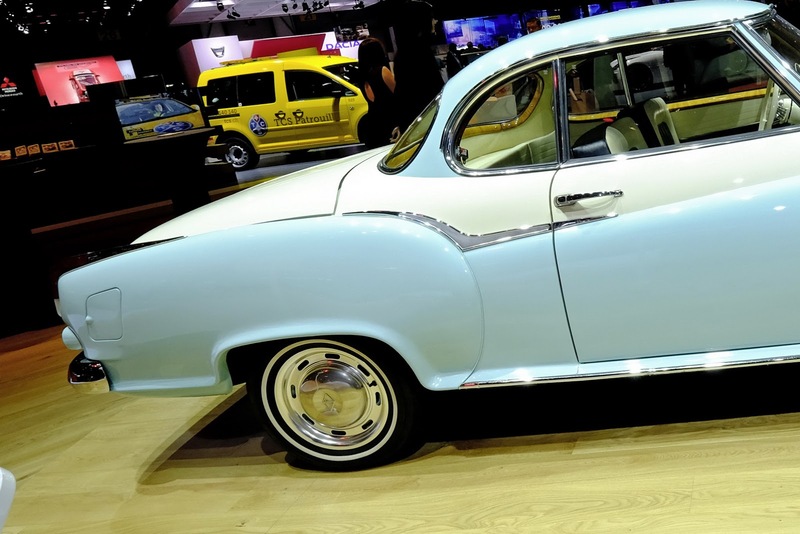 And why they chose to have it painted in a sort of two-tone 1950s Chevy Bel Air colorway is beyond us – there is literally nothing German about the Isabella Coupe’s color. 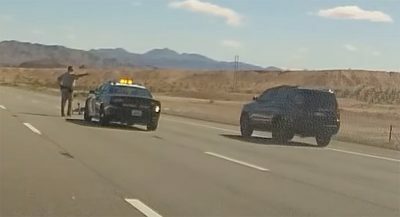 Moving past that, we do know a little bit about what they’re actually planning to do in the near future, and being honest, it sounds pretty darn good. 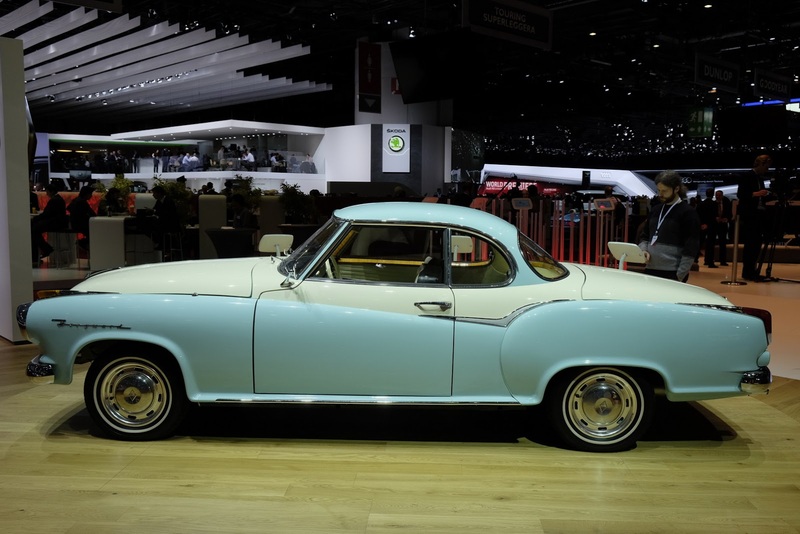 “How can premium ambitions be realized after a 50-year absence? 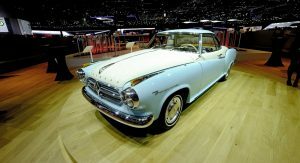 This desire has its origins in the brand’s history, but also builds on the global reputation for precision, progressiveness, and the outstanding quality the 21st century German car industry is synonymous with. 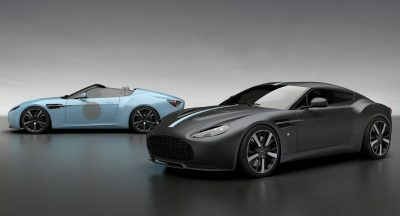 If we were to keep the speculating to a minimum, we could still make out the fact that they’re planning to build a modern day premium product, with practicality and new technologies in mind. 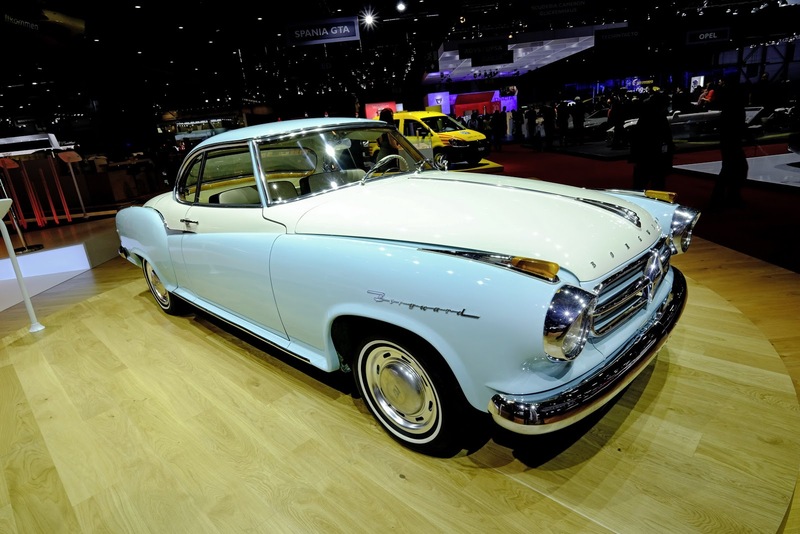 Could it be an elegant GT like the Isabella Coupe? 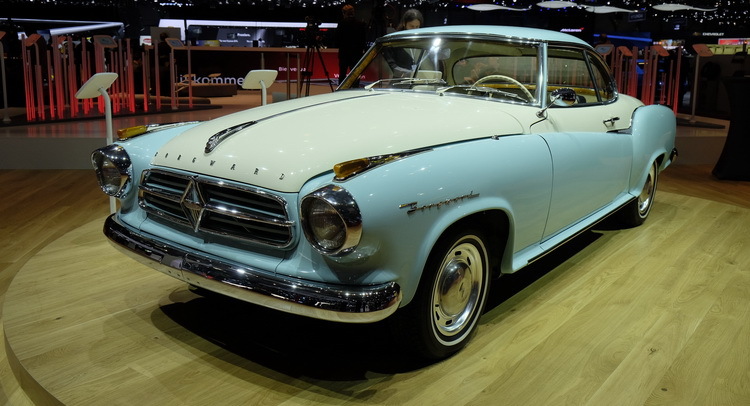 Or perhaps a 4-door family saloon. 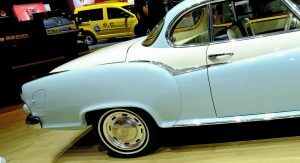 How about a small city car or a compact crossover? 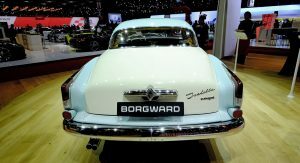 Nobody knows right now, except obviously people like Christian Borgward himself or designer Einar J. Hareide. 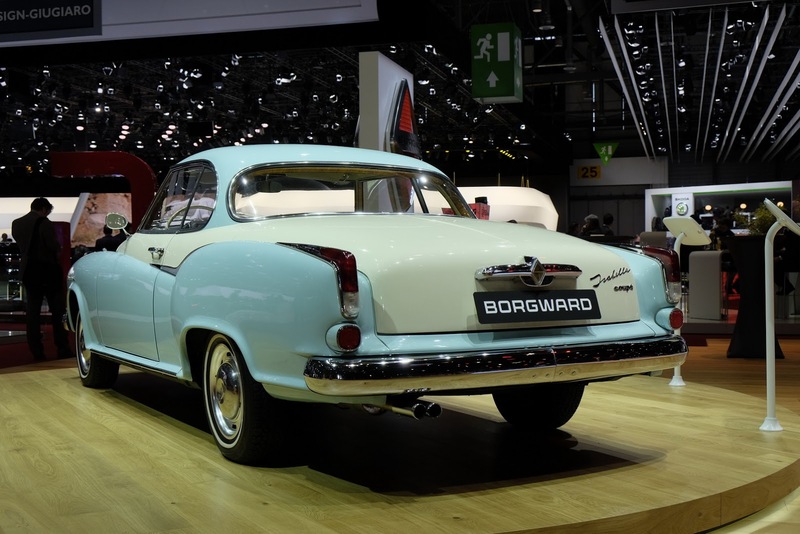 If they’ll indeed be looking to identify the real needs of drivers in a period of “great transformation in society”, it could be anything that’s practical (bye bye 2-door GT) and that runs on some type of hybrid or all-electric technology. 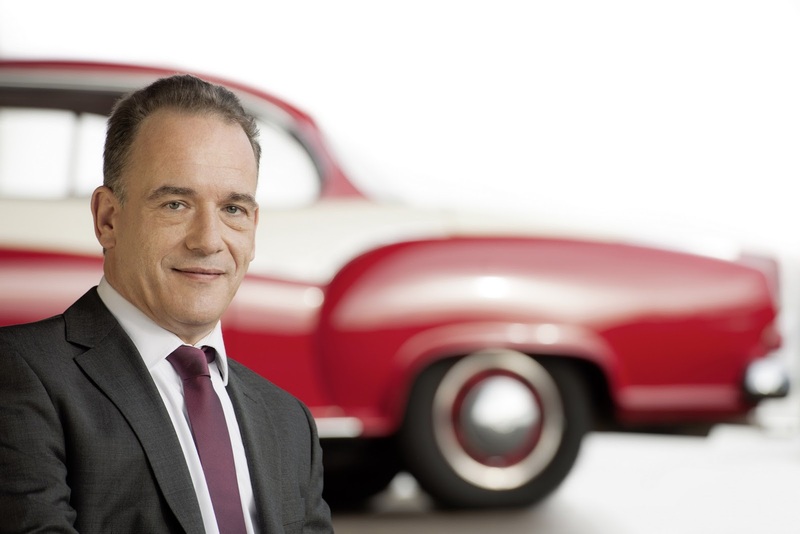 This is actually an exciting time for the automotive industry. 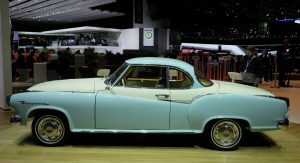 Having a new player come back into the game is similar to how the NBA gets assigned a new expansion team every now and then. 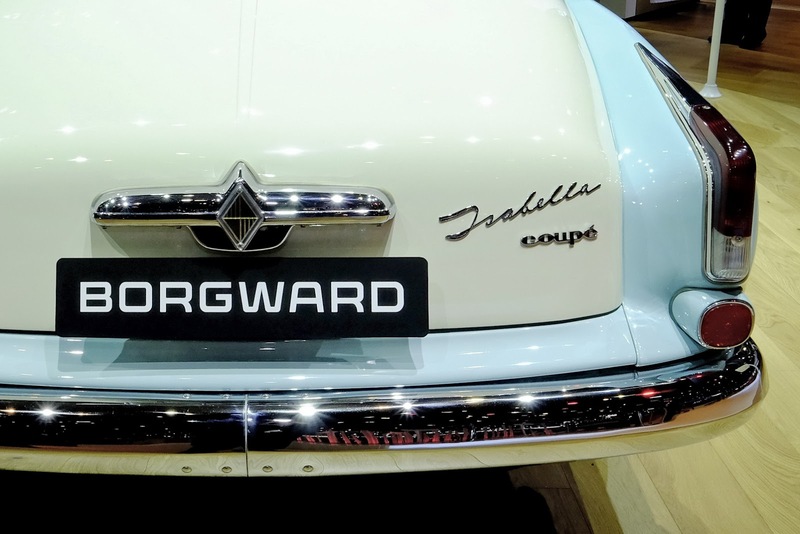 Now imagine if this new Borgward model will actually looks great and actually rival a particular BMW or Mercedes-Benz model like they did back in the day. 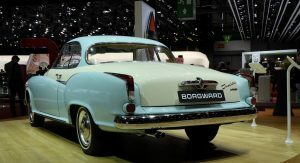 Before BMW and Merc actually squeezed them out of business that is.